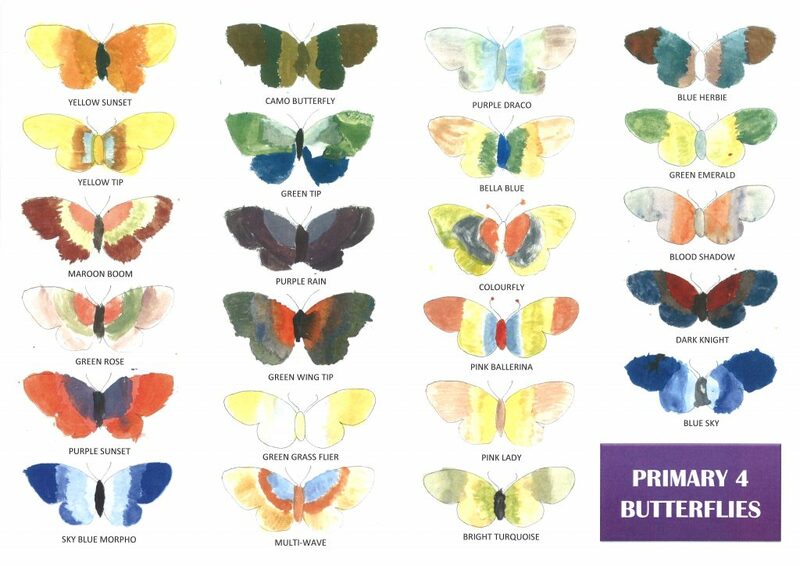 In art recently we have been looking at mixing colours using water colour paints. 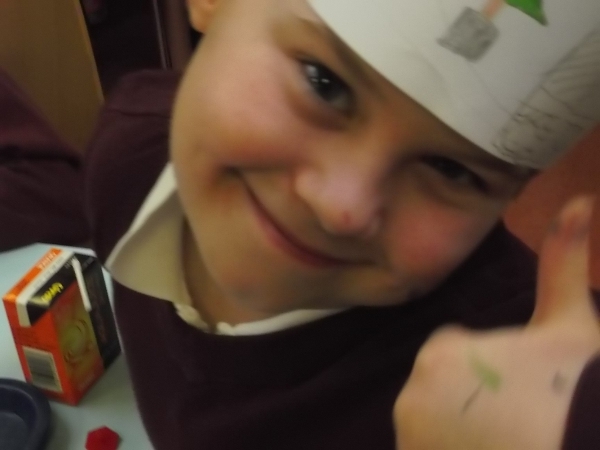 We completed a colour wheel and then used what we had learnt to match colours. 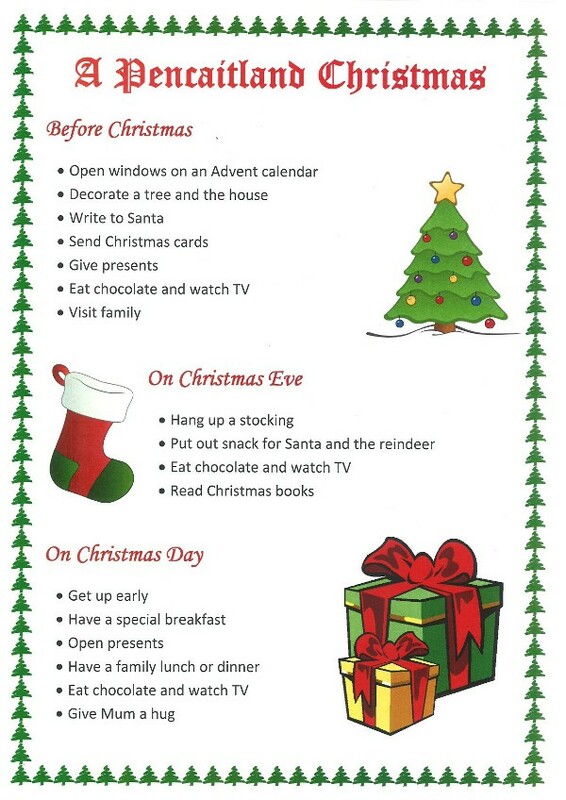 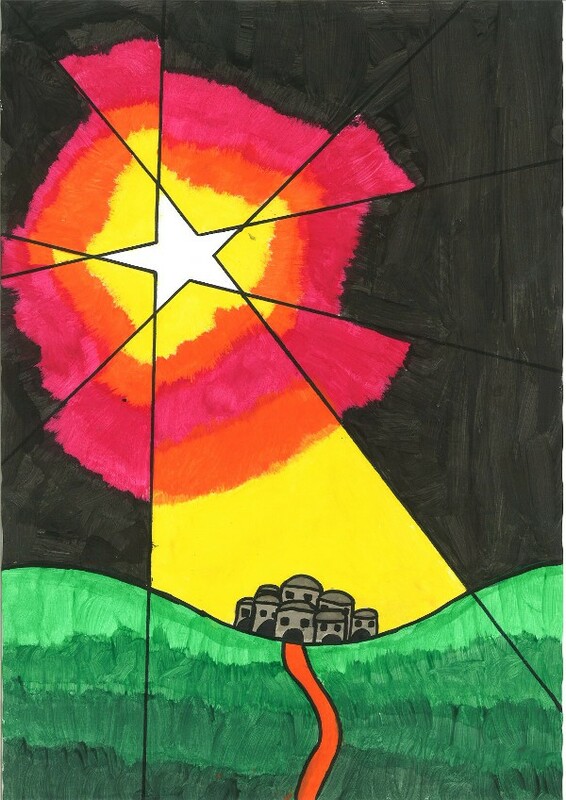 To download a copy of the full A3 poster in pdf format please click HERE. 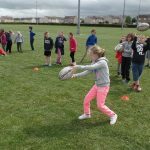 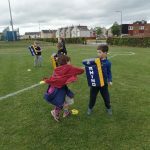 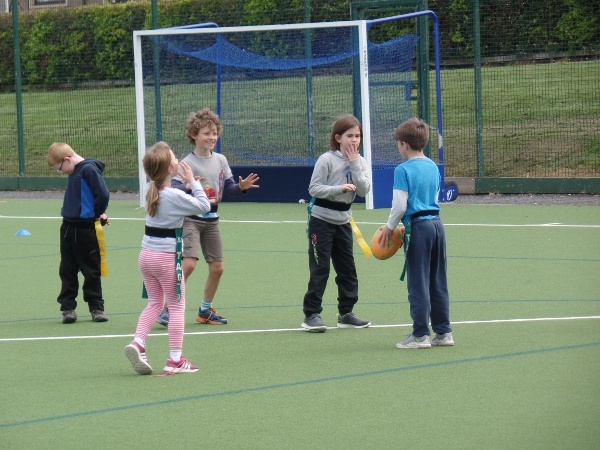 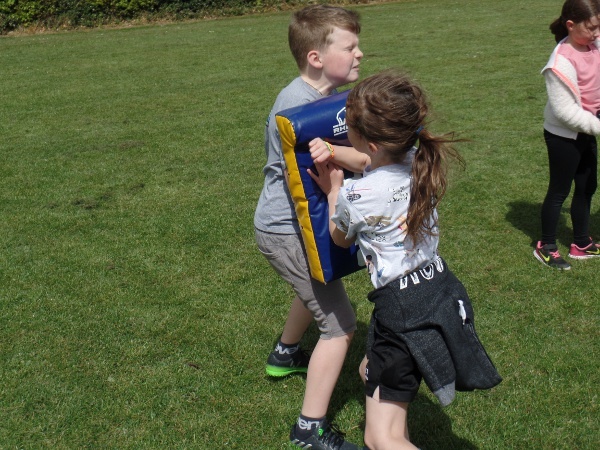 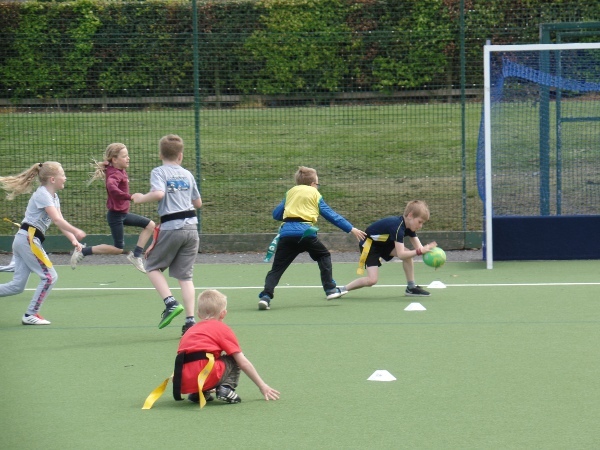 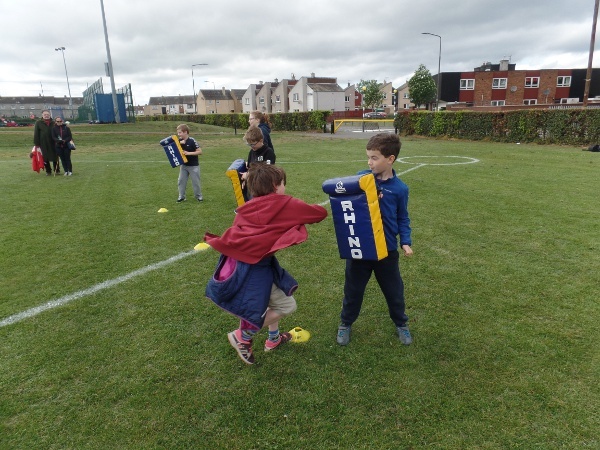 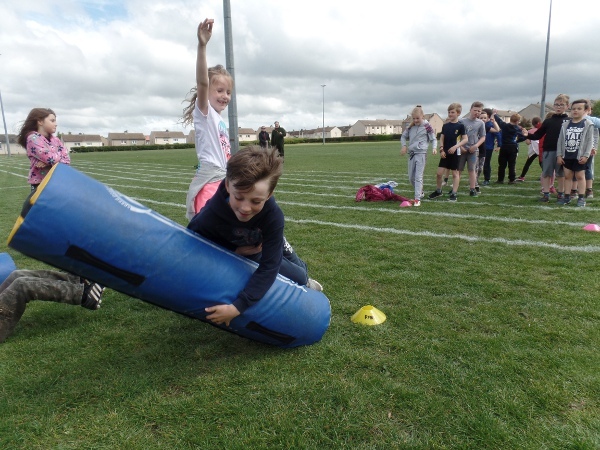 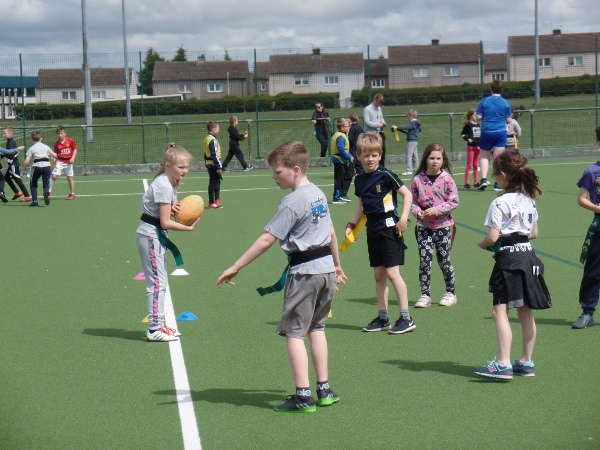 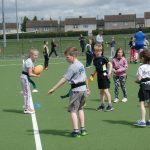 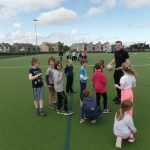 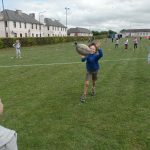 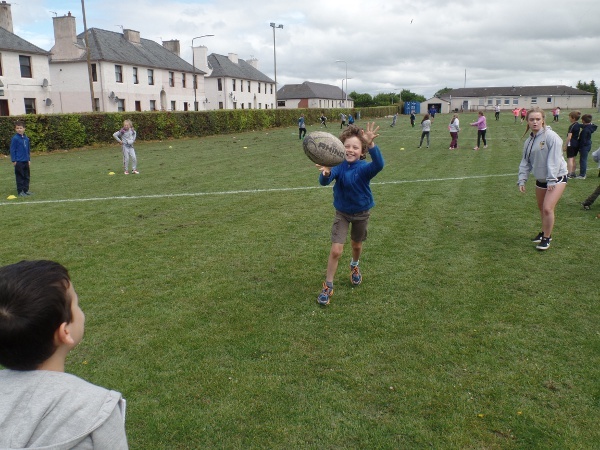 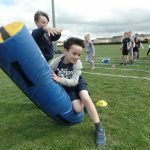 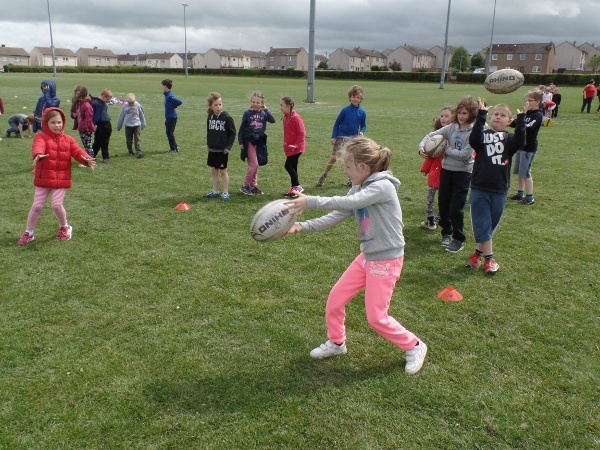 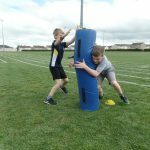 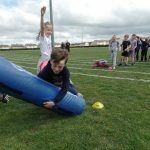 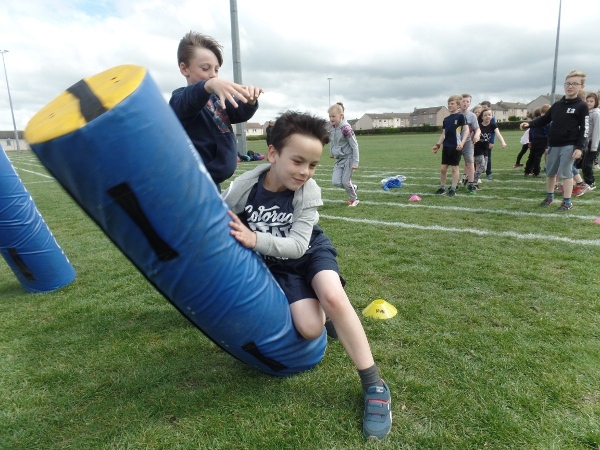 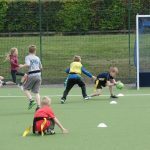 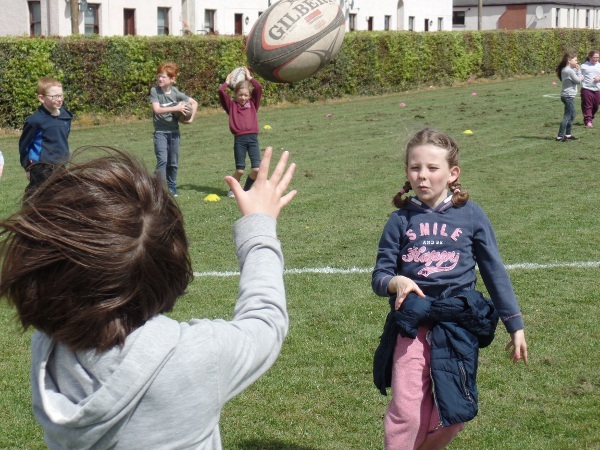 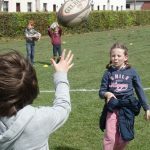 After 4 weeks of training the P4s went to RHRFC for their festival. 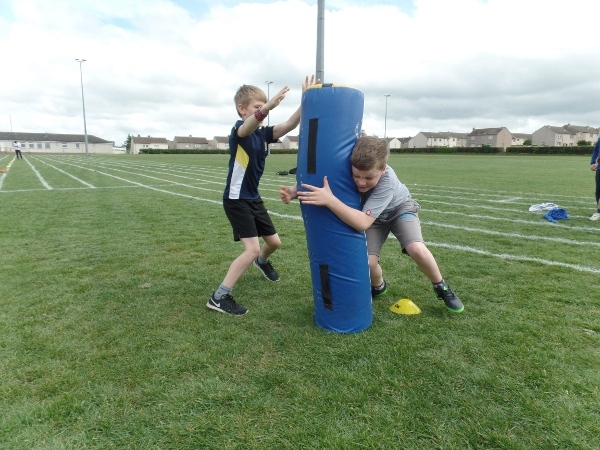 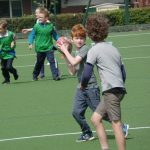 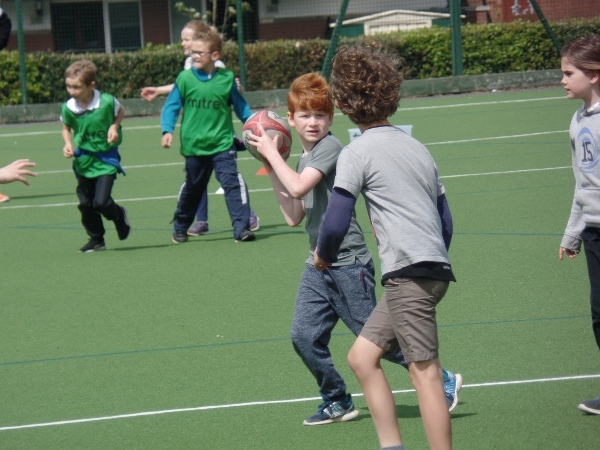 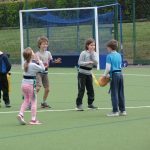 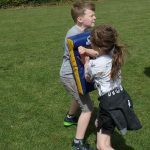 They took part in drills involving passing and tackling (not each other) before playing matches against other schools. 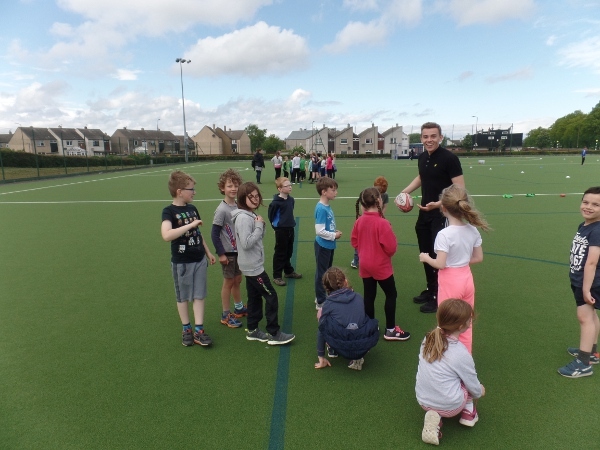 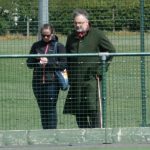 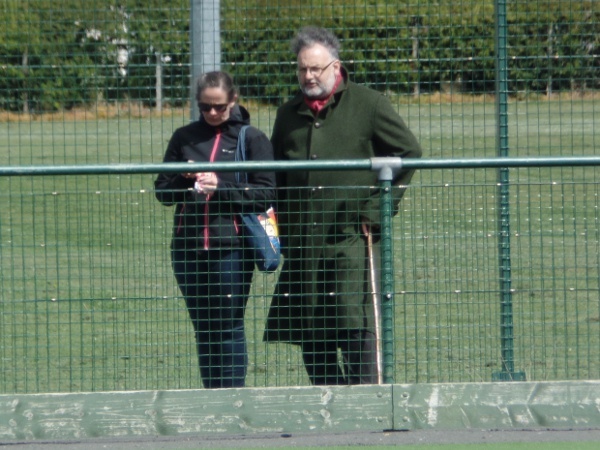 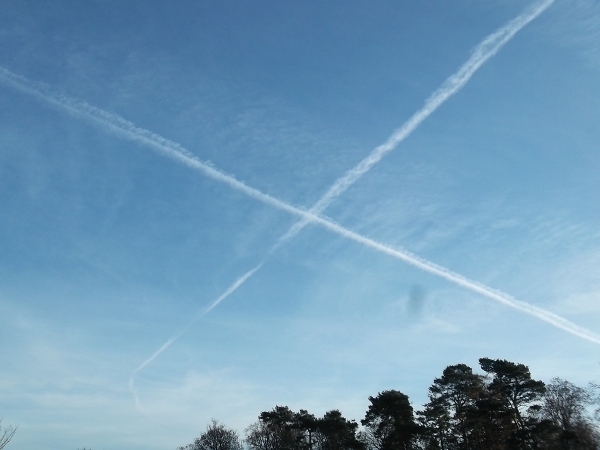 Look out for former Pencaitland pupil Joe Clark. 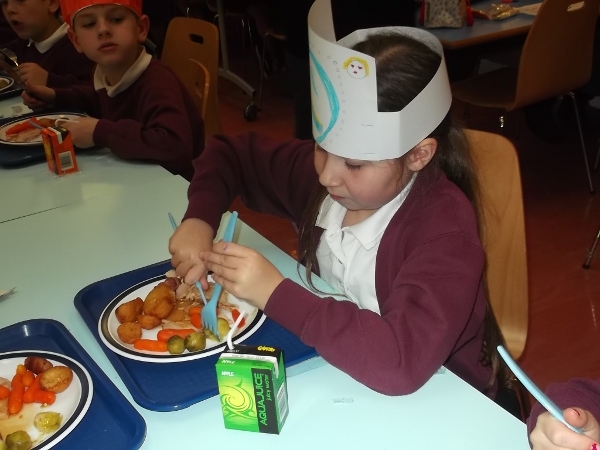 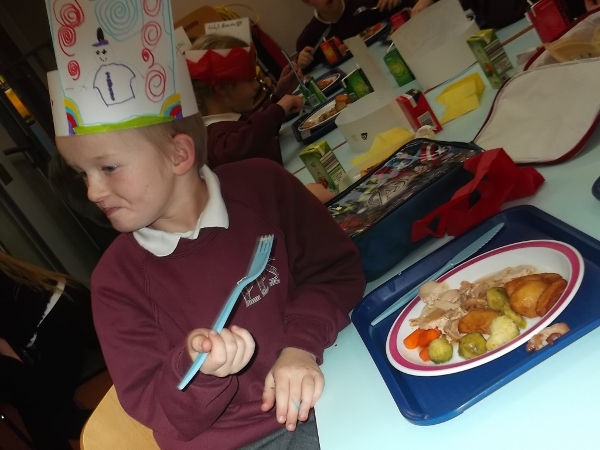 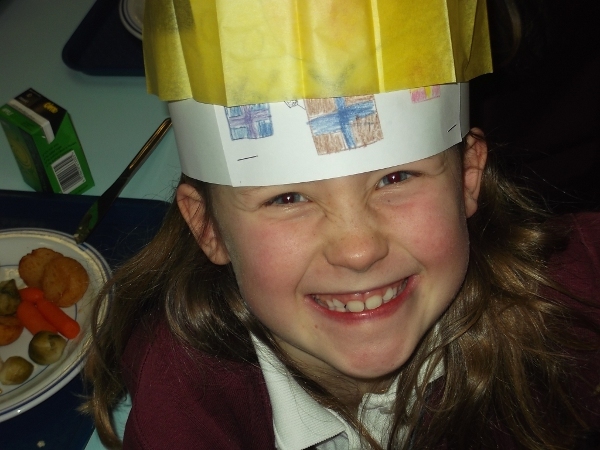 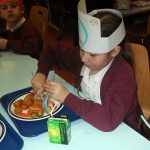 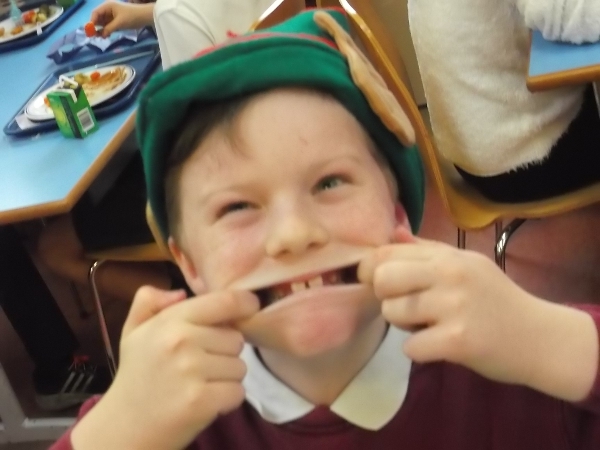 A great time was had by all at the P3/P4 Christmas party today. 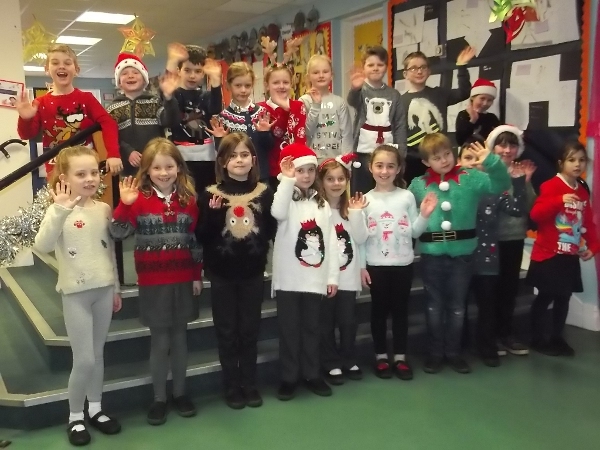 The school raised £147.81 for Children in Need today by wearing Christmas Jumpers. 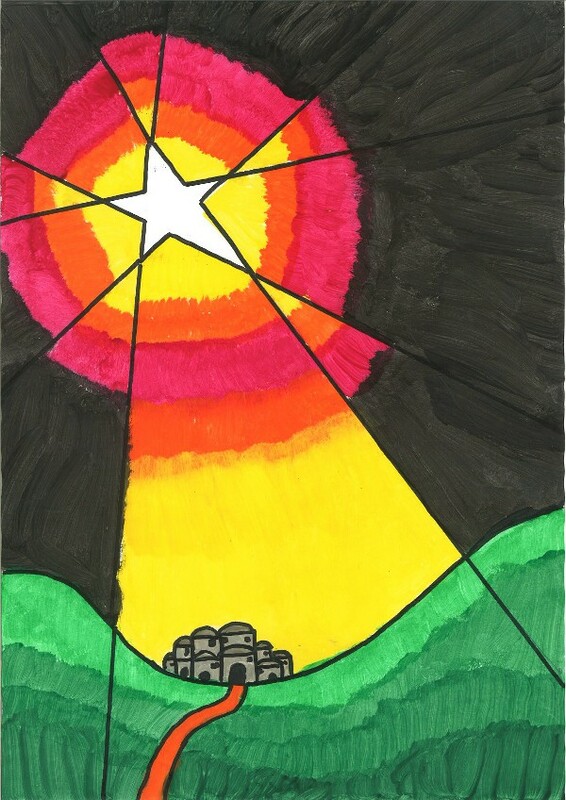 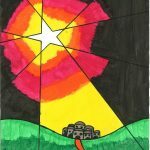 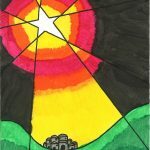 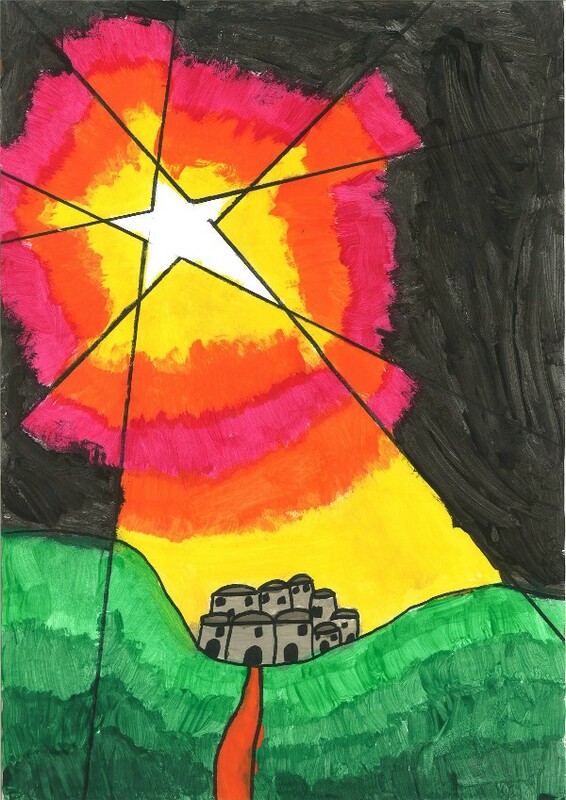 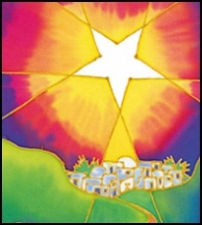 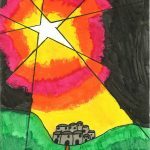 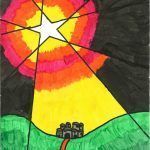 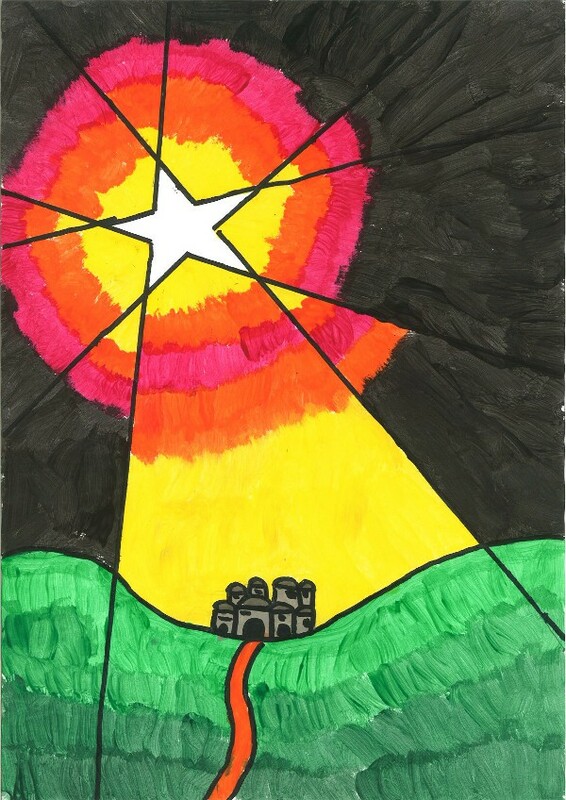 Our ‘Star Over Bethlehem’ paintings were inspired by a Christmas card design. 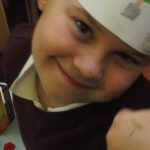 The rest of the paintings can be seen in the classroom. 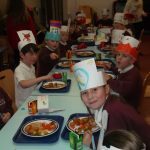 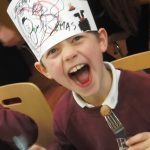 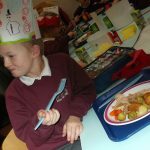 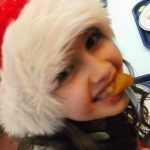 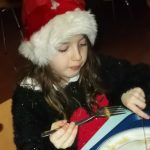 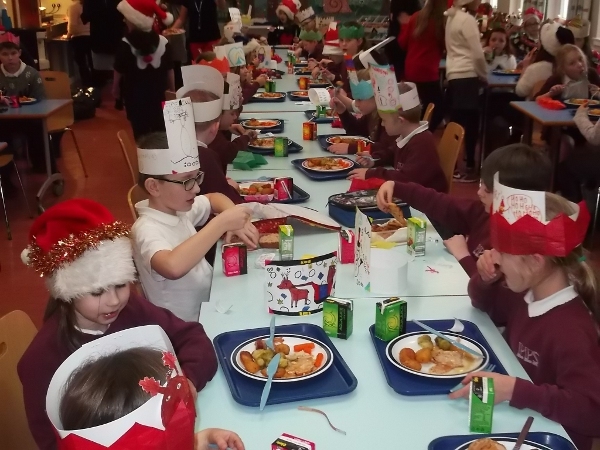 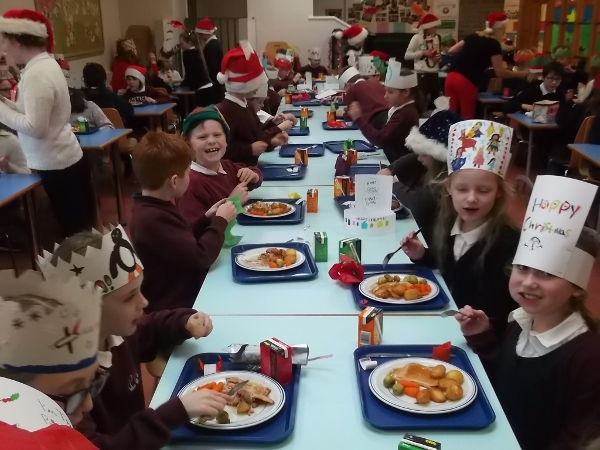 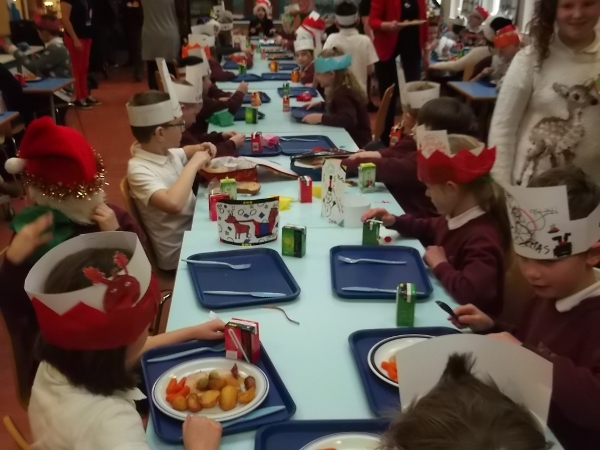 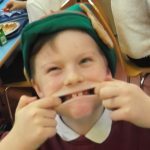 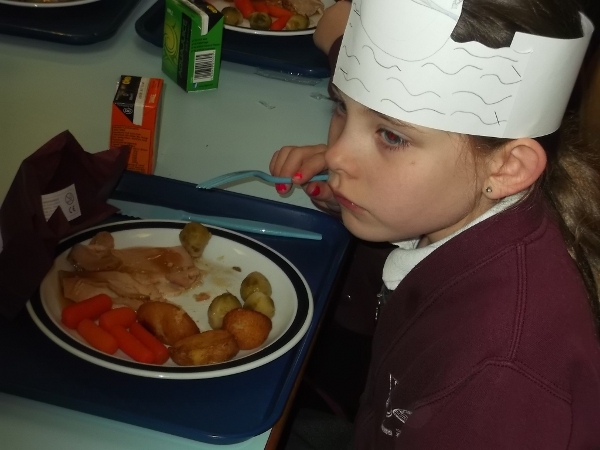 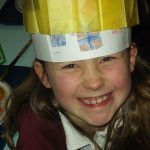 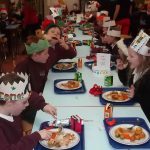 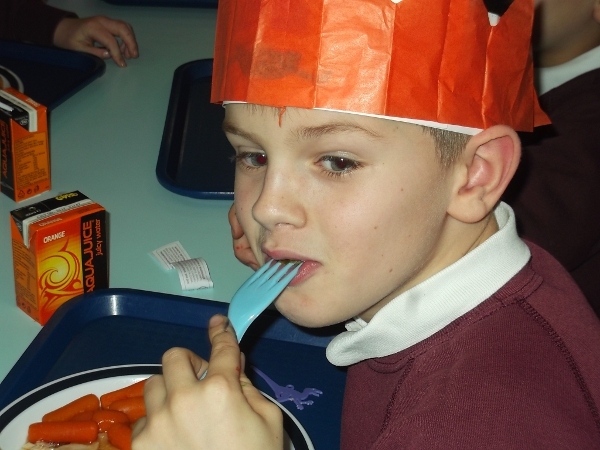 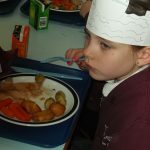 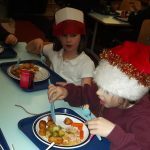 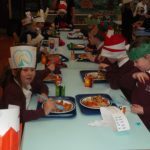 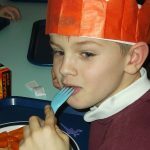 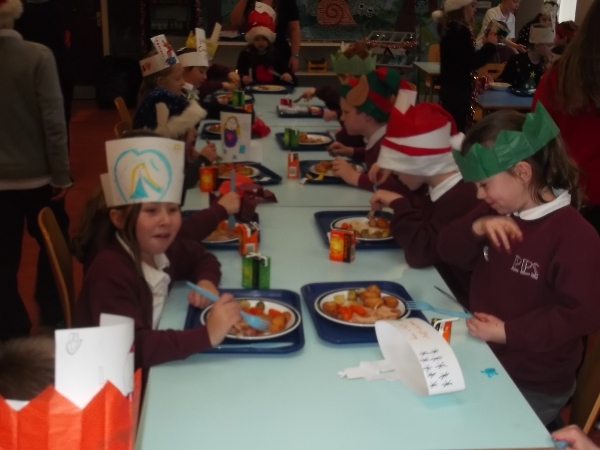 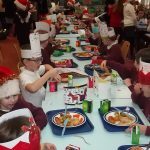 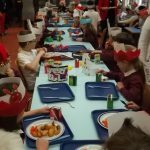 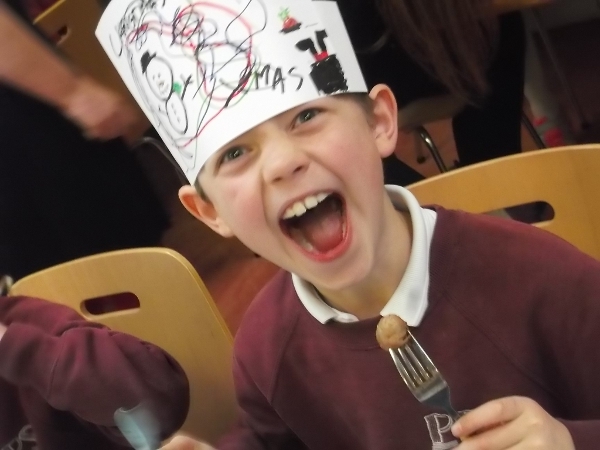 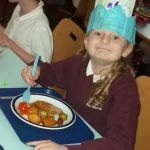 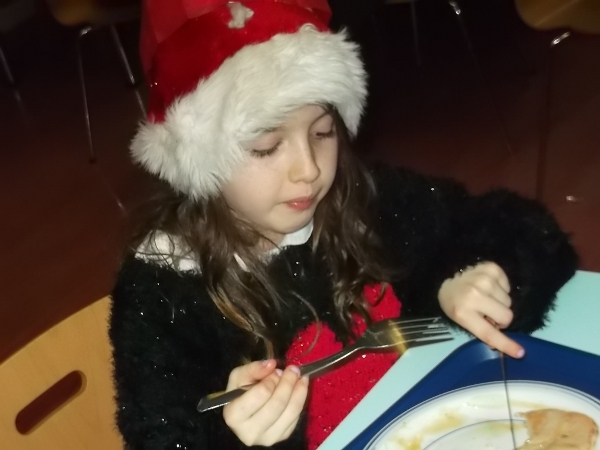 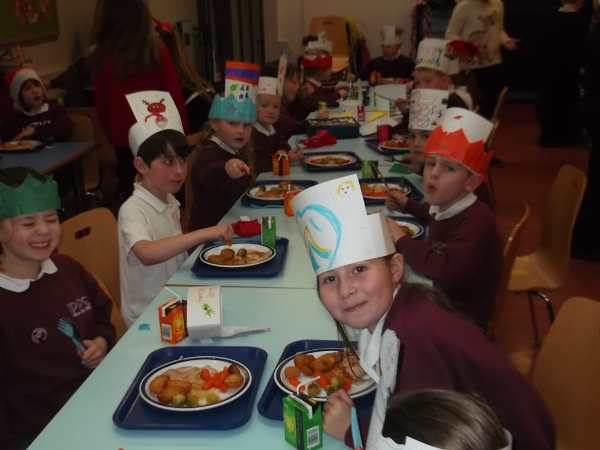 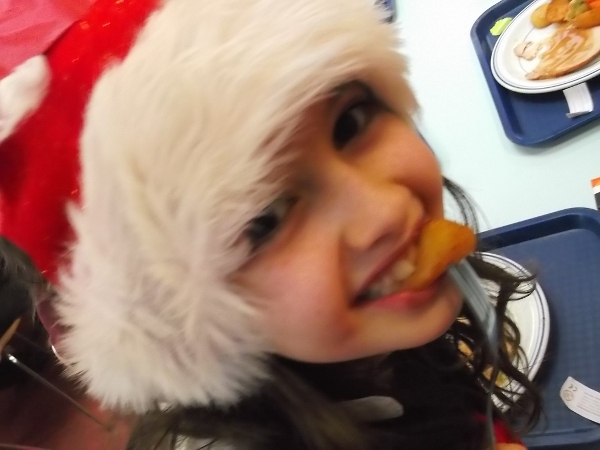 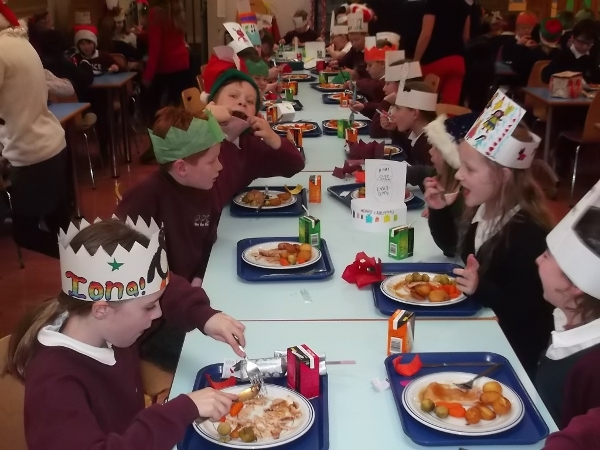 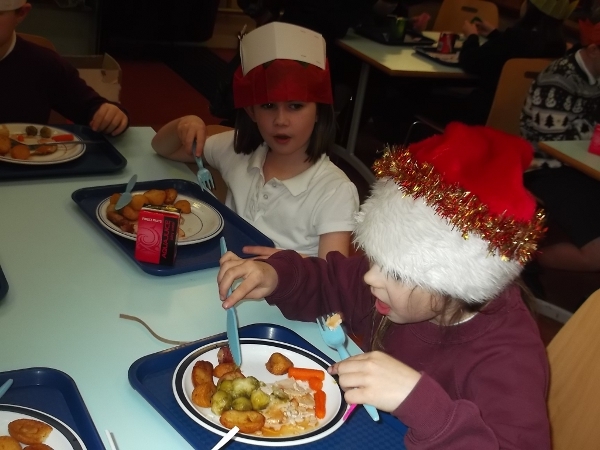 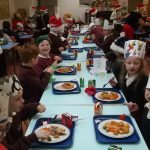 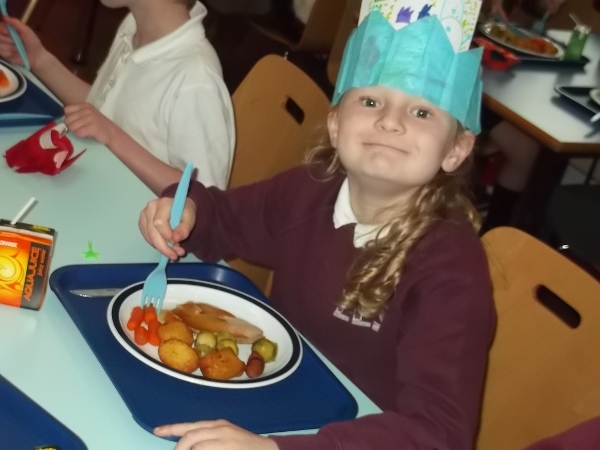 We’ve enjoyed our Christmas dinner today, especially being served by the P7s and the teachers! 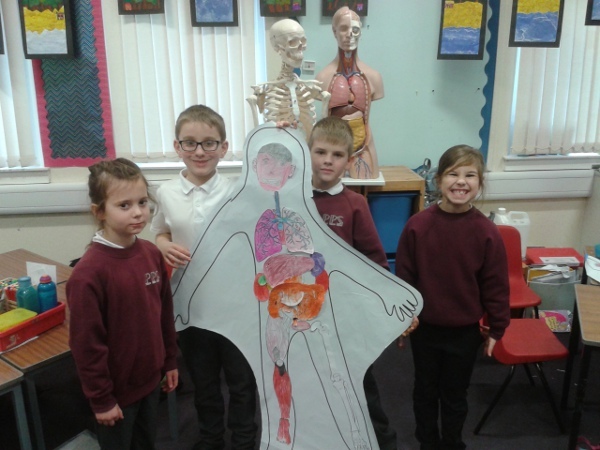 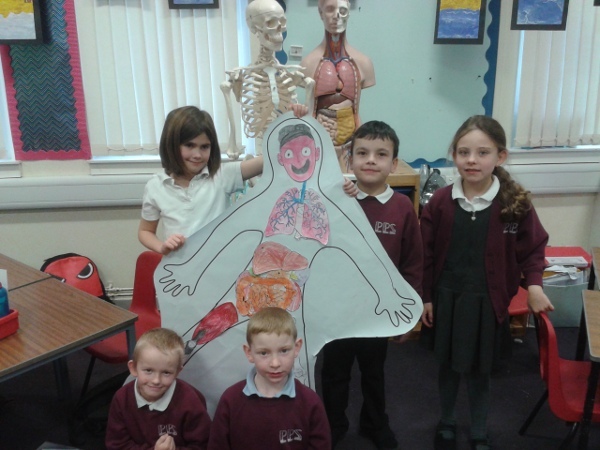 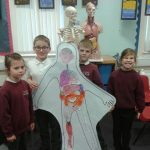 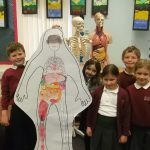 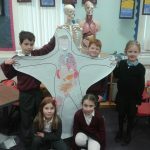 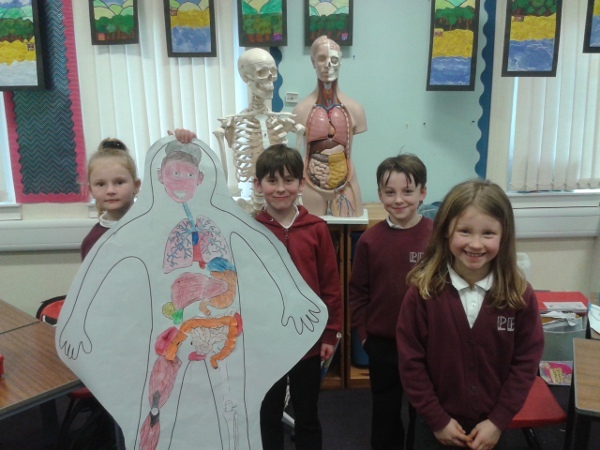 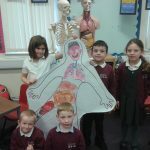 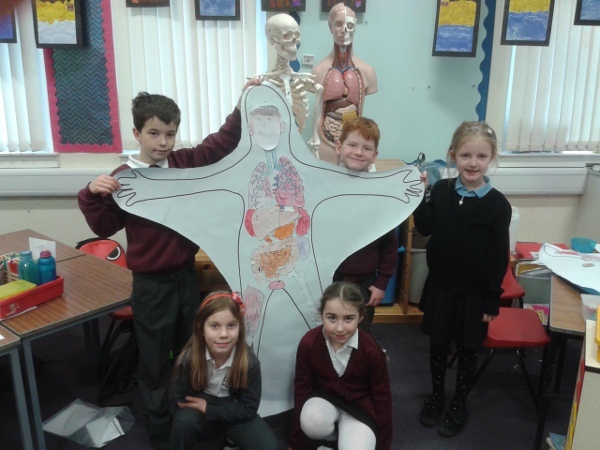 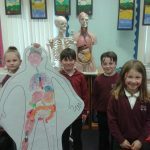 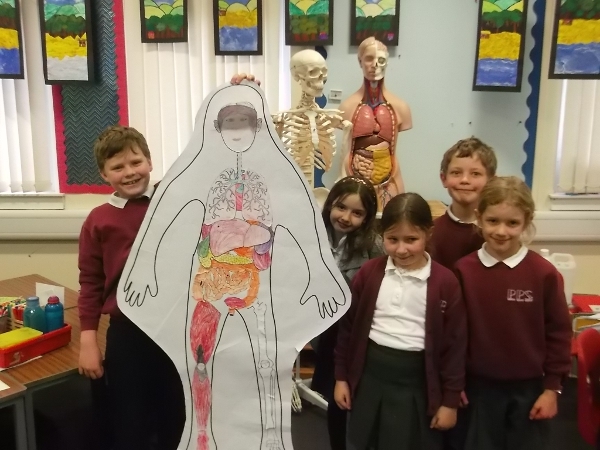 After studying the respiratory system, the circulatory system, the digestive system and the skeleton we tried to put the body parts in the right place!